Well, that’s something strange as I’ve not seen in a while. 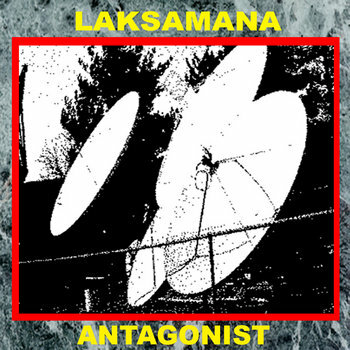 Describing itself as a “computer metal” one-man project, Laksamana, from Des Moines, Iowa, sounds like Jute Gyte’s more experimental, barely-even-metal albums, with vocals added on top. And this one truly reflects the spirit of our blog, which you can grasp by reading our name out loud. The aim of the album was to make it abrasive and unpleasant, as a warning of what could happen if all the world lived in computers. The music was made so that it would be impossible to play without the aid of a computer, and it really gives off that stiff, robotic, artificial sound that is unpleasant to the ear, but can be refreshing for the mind of a disenchanted melomaniac. It’s weird and it takes you spiralling into the depths of motherboards and circuits while being screamed at by a distorted digitized voice. If you like weird stuff, you’ll be spoiled with this one. It seems as if everything’s crushed by some sort of harsh digital distortion, and it’s awesome. Try it out for yourself!